Lipstick, a smile, a fan…and a jump for joy! The first time I met Rachel, she rang my doorbell. 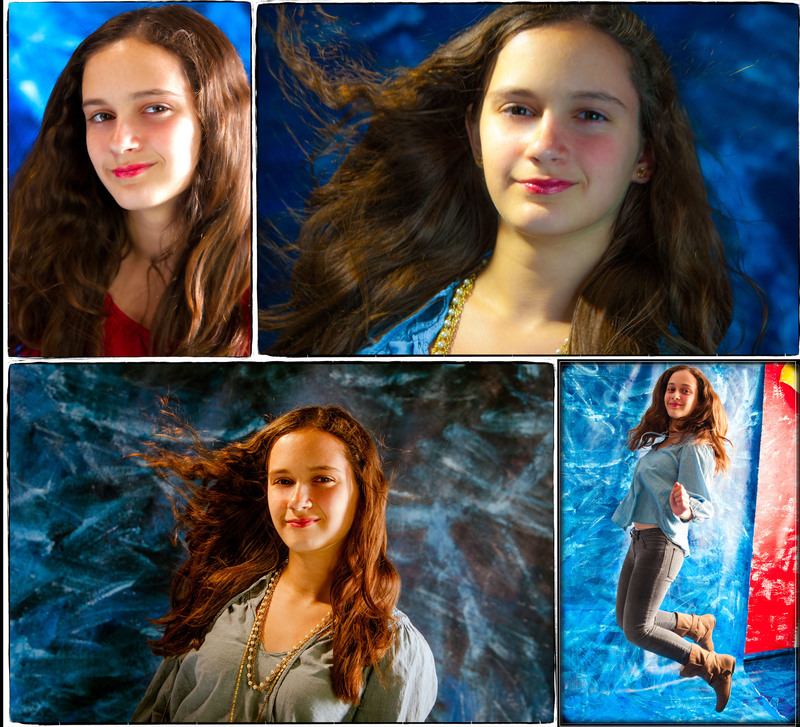 We had scheduled a pre-Bat Mitzvah shoot. I like to reserve an hour or so in my studio — one-on-one time — to give us a chance to get to know each other. Photography is often a contact sport — your job is to capture the image fast and furiously, your adrenalin kicks in, and you push hard to appease that one tough editor whose voice is in your head, challenging you to find the right angle, to paint with light. Rachel stepped right into action when I aimed my camera. She came to life. I knew we were cooking when she asked, “Do you have a fan?” And I did. It was still unpacked, a new tool in my arsenal, that I was dying to use. “Wait a minute,” I said, running to get the box, and a scissors. Her mom stepped up, too, moving in close, pointing the fan just to the side of her face…here are some of the shots we got. Can’t wait for the Bat Mitzvah in a few weeks. I know it will be fun, and Rachel will lead me along to take even more fun photographs.